Great authors. I've read a couple by Gayle Forman but really loved them. I need to read more by Maggie but I ADORE the Raven Cycle. And I've only read one by Summers, but she's an author I really want to read more of in the future. I think people should read: Stephanie Kuehnert. I recently gave my sister The Lumatere Chronicles by Melina Marchetta and now she won't read anything else, no matter how hard I try. So that should definitely make it on my list. I completely agree with The Scorpio Races, though. I reread it perhaps once a year. I didn't have much luck with Gayle Forman a few years ago, but perhaps I should try again now. Huge fan of Foreman's duo logy but her sophomore novel didn't float my boat. Love Stiefvater, though! 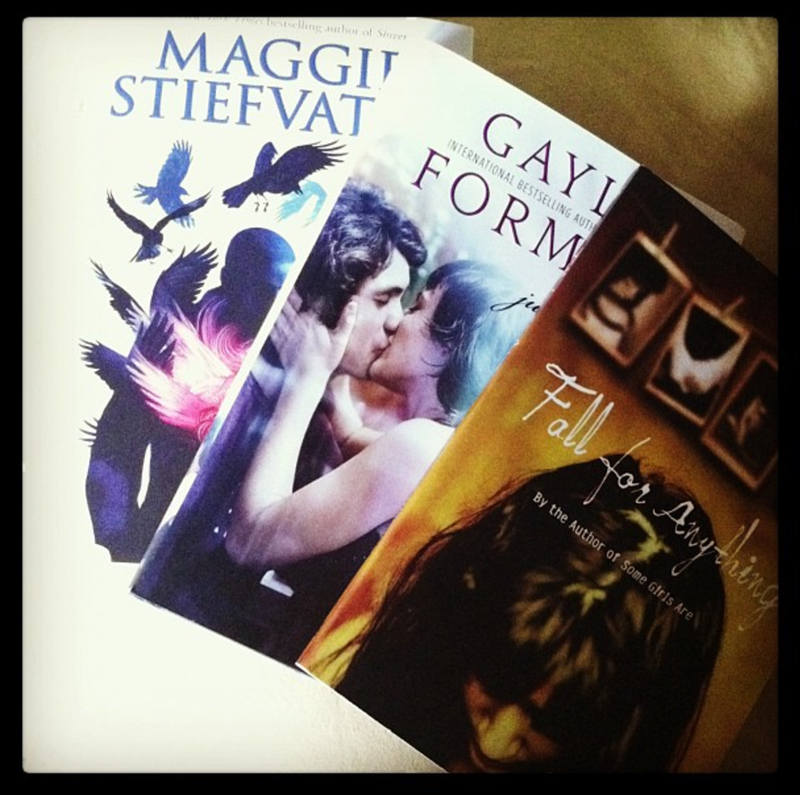 I love all three of these authors. Courtney Summers has blown me away countless times with her gritty literature. I adore Gayle Forman and I've been meaning to pick up Just One Year, but haven't gotten around to it yet. I loved Shiver, but haven't picked up anything by Stiefvater yet, but she's someone I'm definitely wanting to read more of.